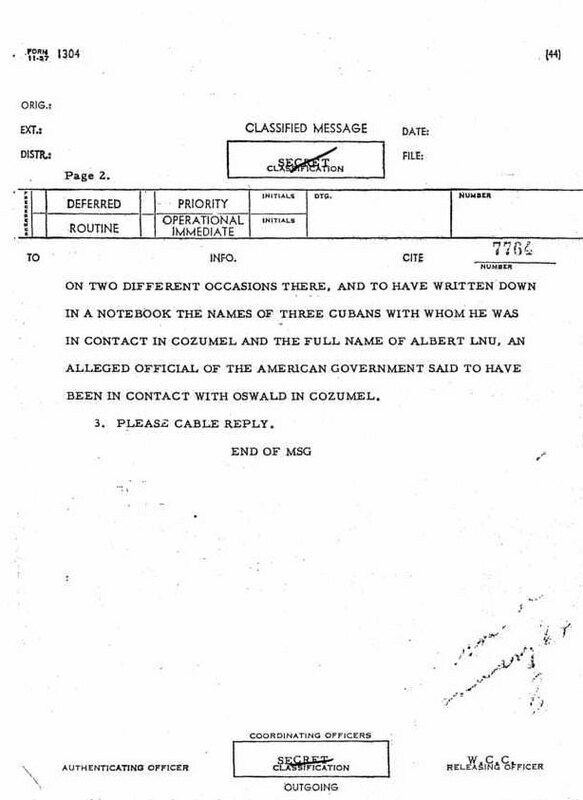 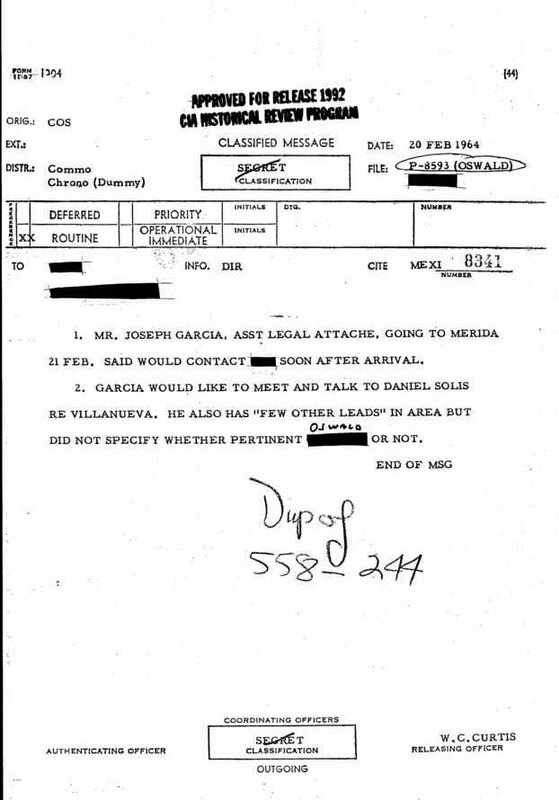 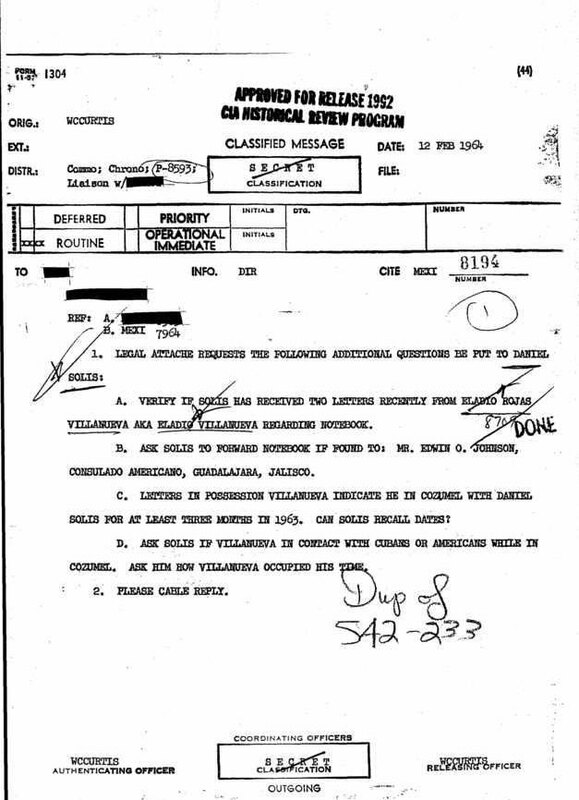 Lee Harvey Oswald in Cozumel? 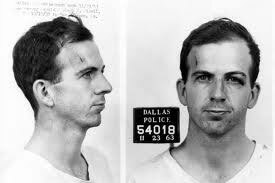 After President John F. Kennedy was shot to death in Dallas, the Warren Commission was set up to investigate the roles of Lee Harvey Oswald and other supposed participants in the assassination. 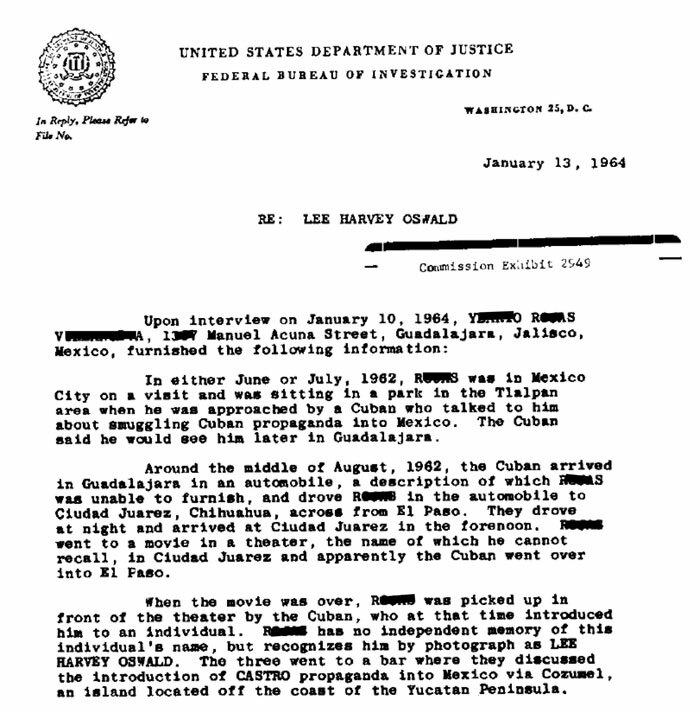 The evidence the commission collected was later made public in a huge bound report which included photo copies of pertinent documents the FBI and the commission had gathered. 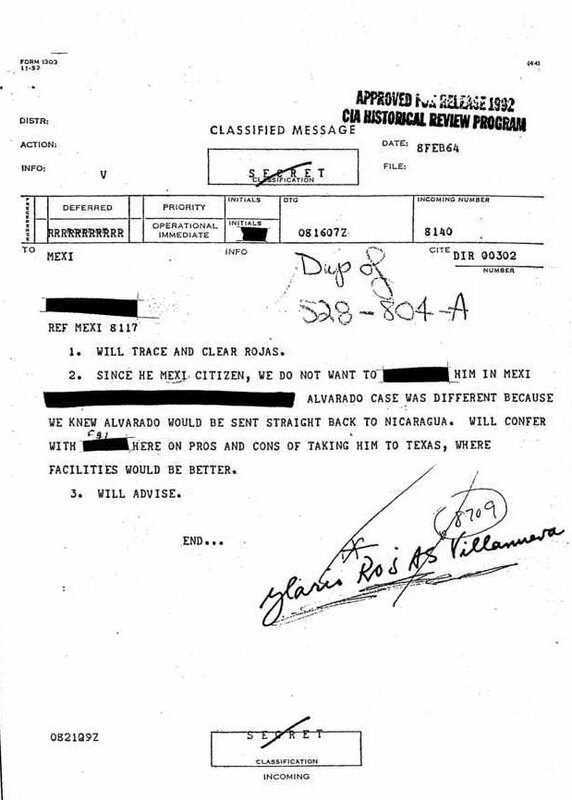 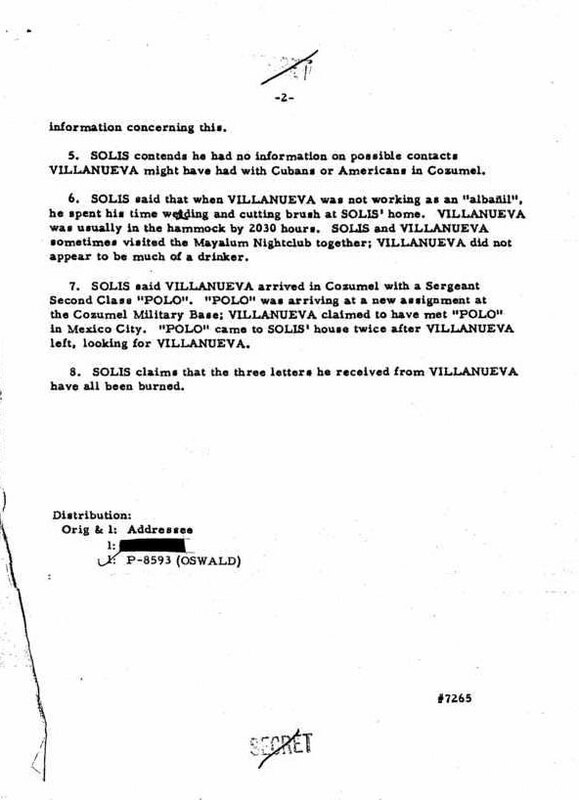 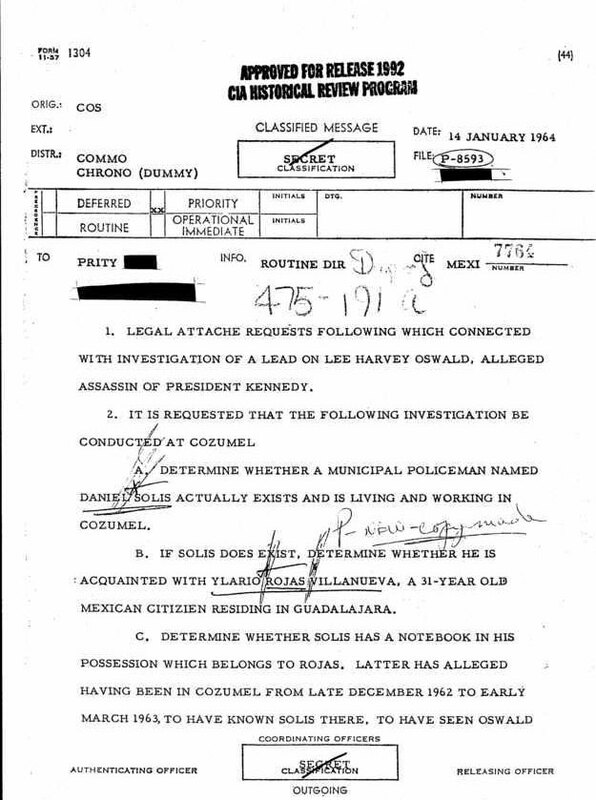 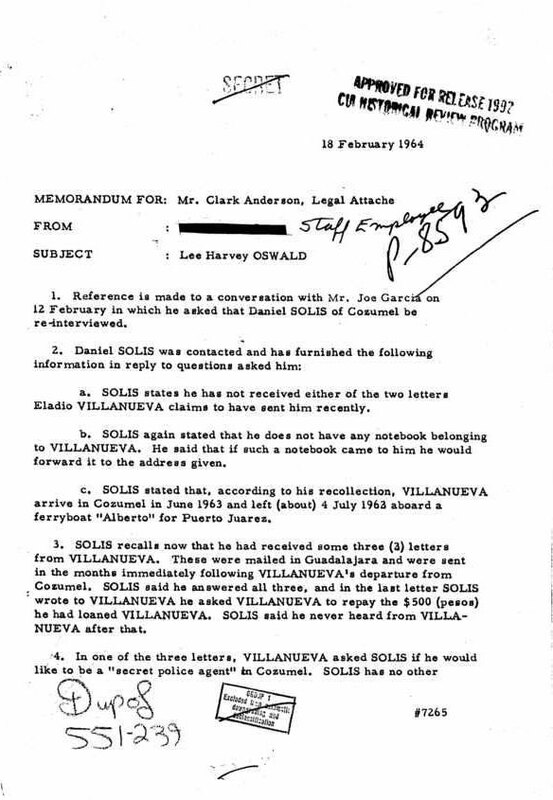 One such piece of evidence was exhibit #2949, a FBI informant’s report dated January 13, 1964, in which an informant detailed Lee Harvey Oswald’s alleged trips to Cozumel on December 1962 and again on February 1963. 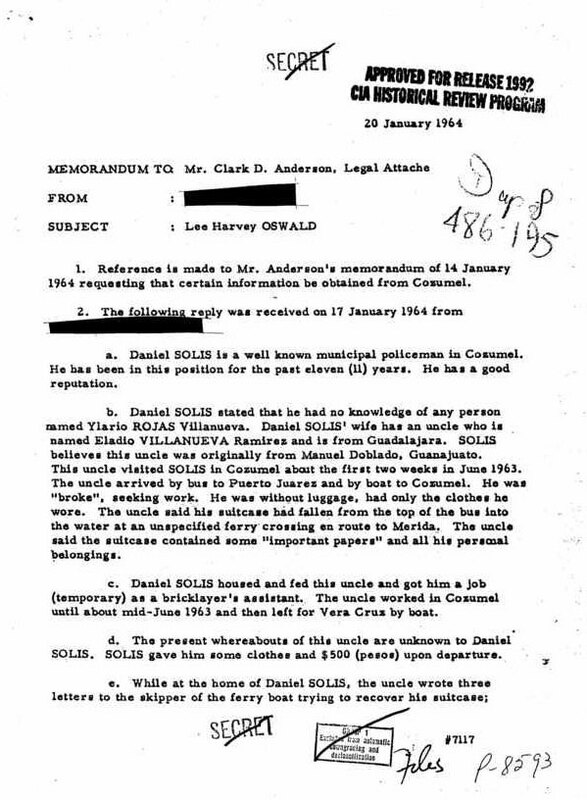 Both times Oswald was reported to have stayed at the Hotel Playa, which is now the Museo de Cozumel. 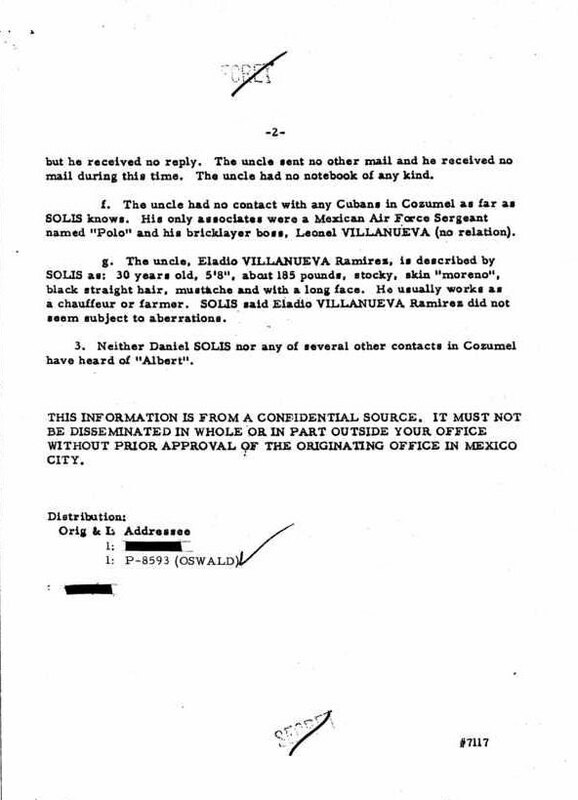 An enigmatic American named “Albert” was also supposedly involved in the meet in Cozumel and was alleged to have stayed at the Hotel Isleño, where Cinco Soles now stands. 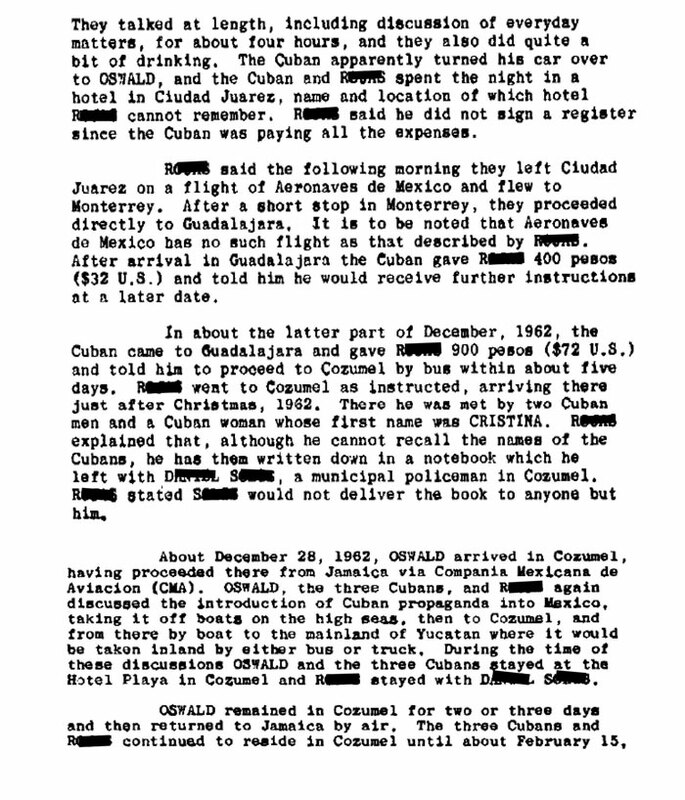 The purpose of Oswald’s trip to Cozumel was supposedly to arrange for the illegal importation of Cuban Communist propaganda into Mexico for the purpose of then smuggling it into the US overland via the Mexican border. 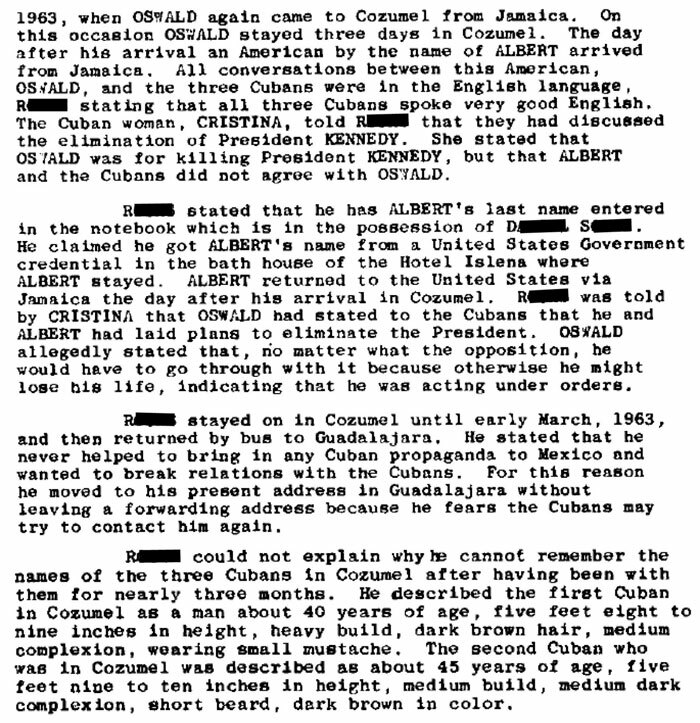 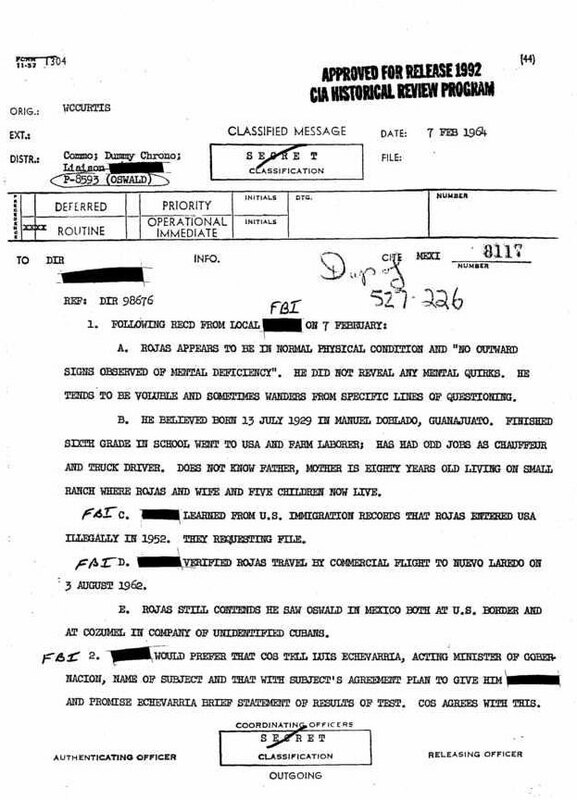 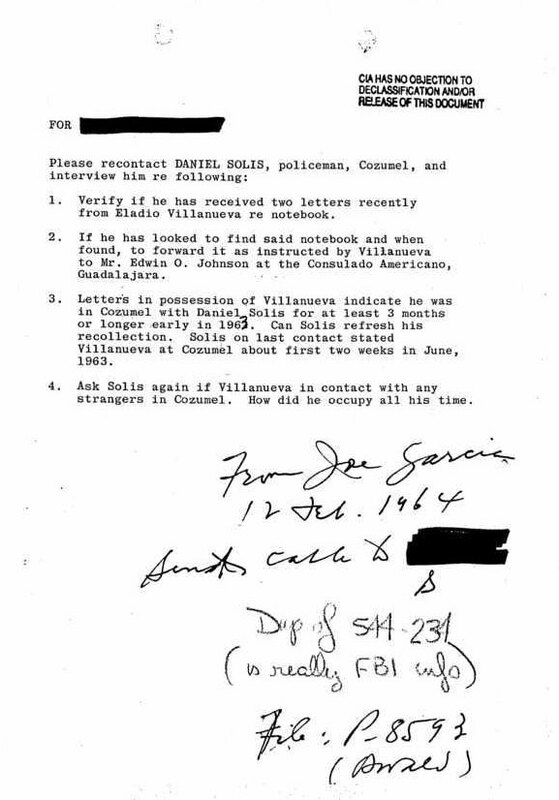 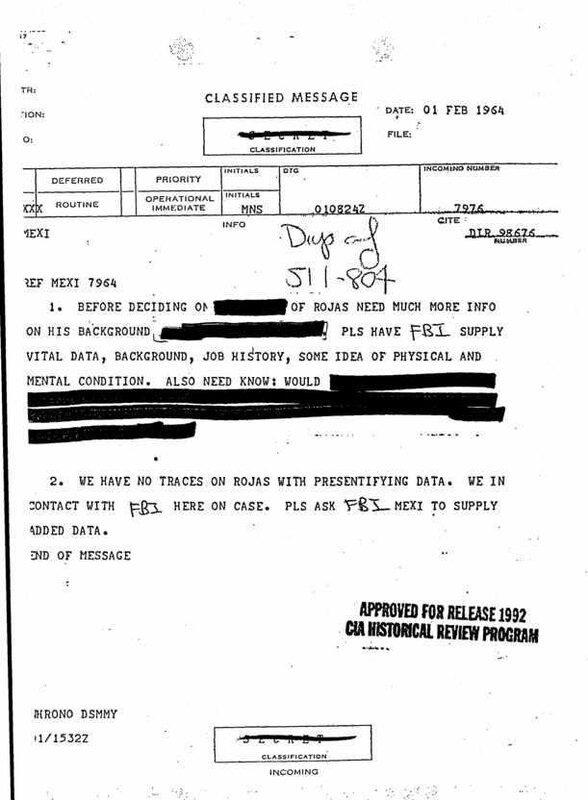 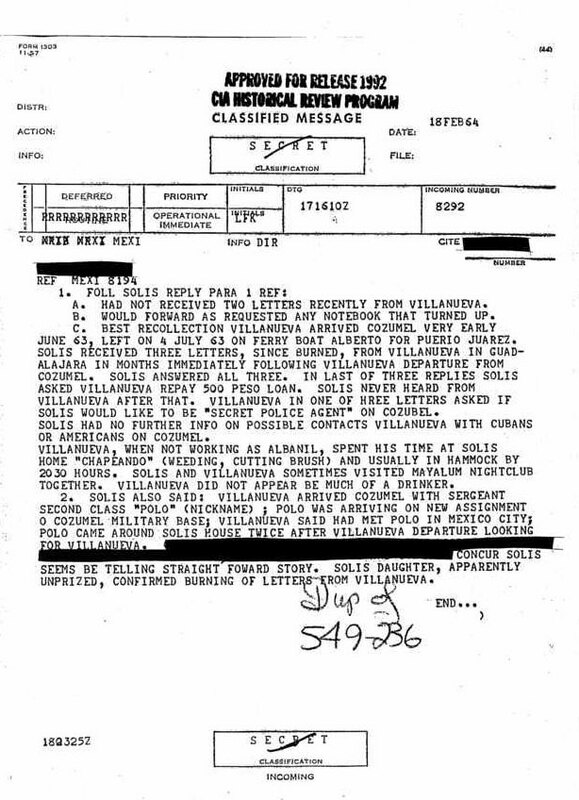 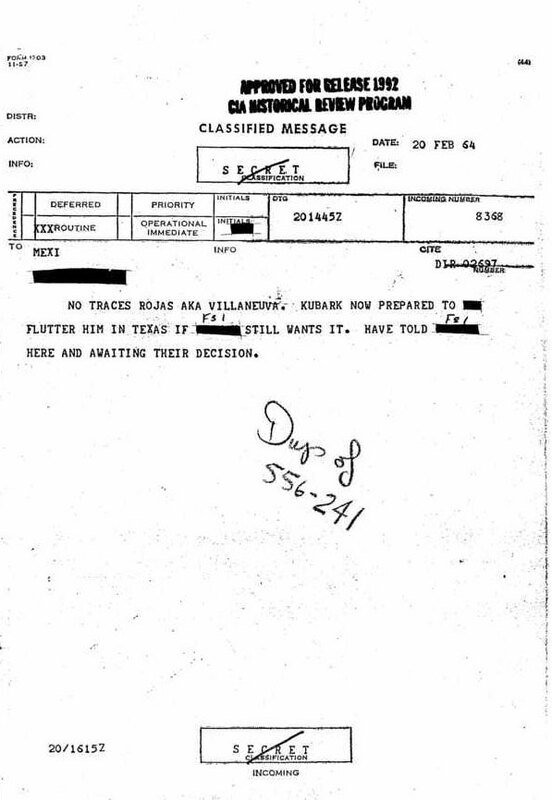 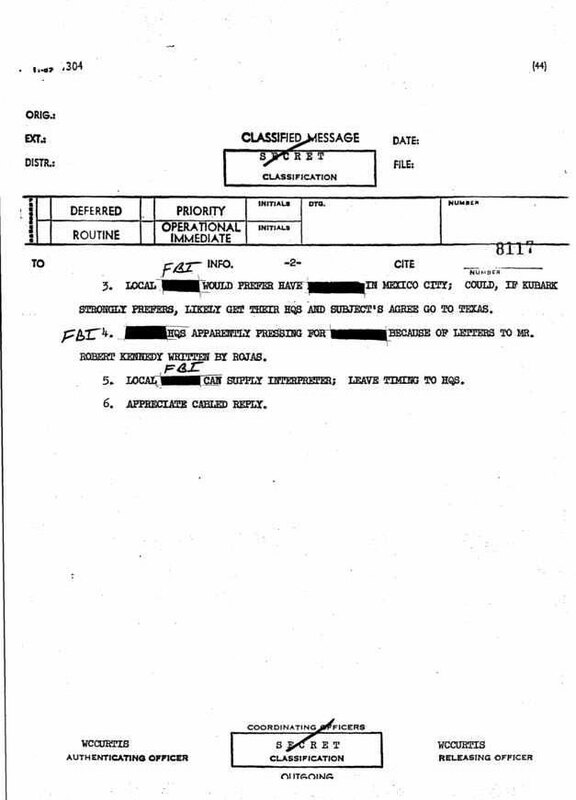 The informant, who the FBI quotes in the report, stated that he did not see any propaganda arrive, and never saw Oswald again after the second visit. 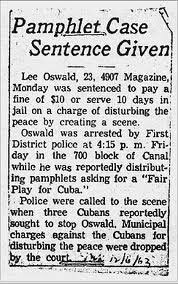 However, we know Oswald eventually did manage to get his hands on other pro-Castro literature which he later distributed on Canal Street in New Orleans, and for which he was subsequently arrested.